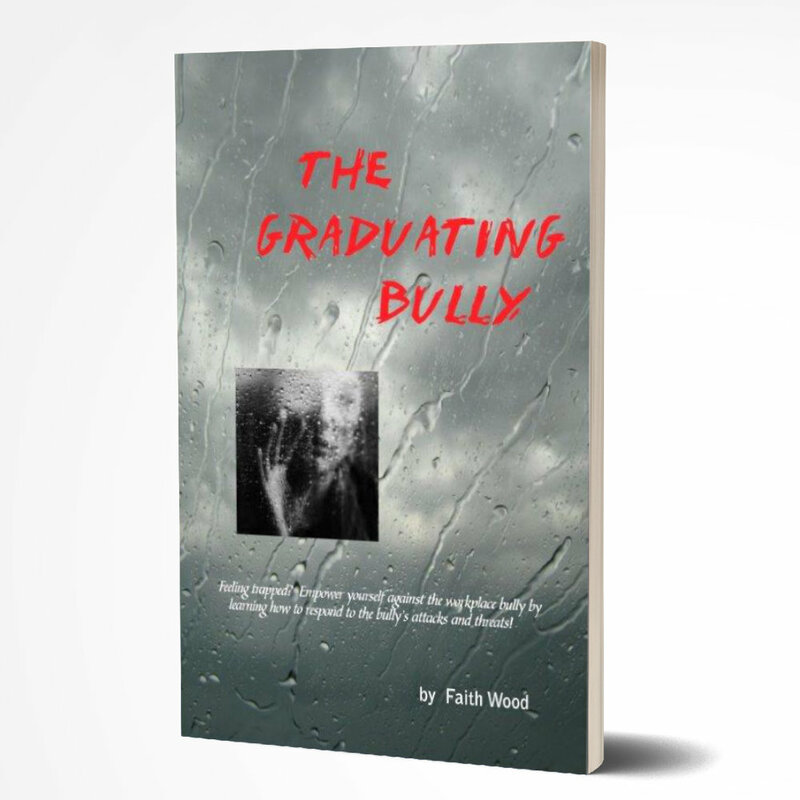 The Graduating Bully - Faith Wood - Inspiring Minds Consulting Ltd. The Graduating Bully follows schoolyard bullies from the benign comfort of their daily lives to the secretive environment of the workplace. By understanding the progression from the schoolyard to the office, you’ll learn how to diffuse the underhanded techniques employed by the workplace bully. Faith Wood has been deals with bullying behavior daily, and her perspective on how to prevent becoming the victim of a bully is encouraging and inspiring. You don’t have to ‘take it’ any longer; when you read The Graduating Bully, you’ll discover the simple responses to the bully’s assaults.